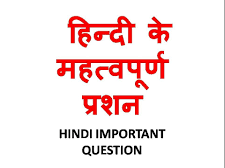 Hindi Grammar Questions For Rajasthan Police SI Exam Set 77 and RAS, IAS, UPSC, RPSC, 1st, 2nd, 3rd Grade Teacher,And Date Wise 13-08-2017 GK Notes and Question With Answer Related REET CTET, LDC, SSC MTS CGL, IBPS, MBA, CAT And REET Level – 1, 2 & 3 Part -II Language – I And More Practice Sets for Rajasthan High Court Lower Division Clerk Exam and Admit Card 2017 And CTET Exams And CSIR UGC NET Hindi Literature Related Question With Answer And Rajasthan Delhi Police Related Study Material And GK Notes And RPSC 2nd Grade Exam Date Subject Wise Time Table 2017, RPSC Grade II Teacher Exam Date Sheet. Question. (1) हिन्दी वर्णमाला में ‘अयोगवाह’ वर्ण कौन-से है ? Question. (2) निम्न में बताइए कि किस शब्द में द्वित्व व्यंजन है ? Question. (3) निम्न में से कौन-सा घोष वर्ण है ? Question. (4) कौन-सा अमानक वर्ण है ? Question. (5) हिन्दी में मूलतः वर्णो की संख्या कितनी है ? Question. (6) ‘क्ष’ ध्वनि किसके अन्तर्गत आती है ? Question. (7) ‘ज्ञ’ वर्ण किन वर्णो के संयोग से बना है ? Question. (8) अघोष वर्ण कौन-सा है ? Question. (9) ‘घ’ का उच्चारण स्थान कौन-सा है ? Question. (10) जिन शब्दों के अंत में ‘अ’ आता है, उन्हें क्या कहते है ?